THIS MOD WILL NOT WORK WITHOUT BOTH THE CORE MOD AND PORTRAIT MOD! This project aims to consolidate all the different anime styled portrait mods on the workshop into a single portrait set. Since I don’t want to redistribute portraits other people made for logical reasons, you will need to install any supported mods you wish to use the portraits of. For this reason, this mod is divided into several modules. 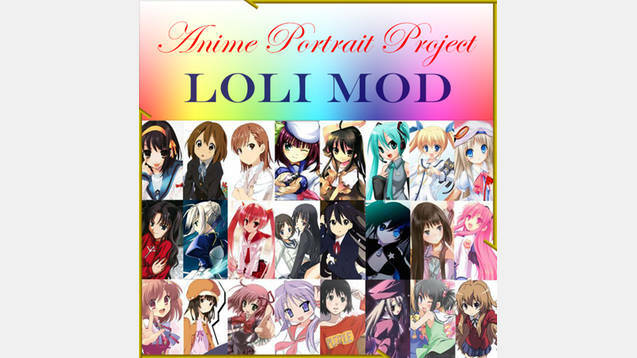 After installing the core module, portraits are added to the set by installing the original mods and appropriate extensions for the Anime Portrait Project mod. 2. Use the list below to choose mods you wish to have the portraits of. 3. Subscribe to the original mods using the provided links. 4. Subscribe to the required extensions using the provided links.